HTC's One V is a retro-tastic Android smartphone that may be small in size, but is big at heart. 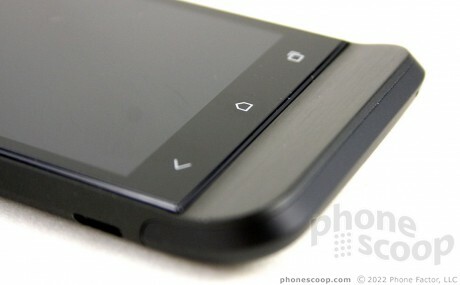 Read all about the One V in Phone Scoop's full review. Virgin's new smartphone from HTC is the latest One Series device to hit the U.S. 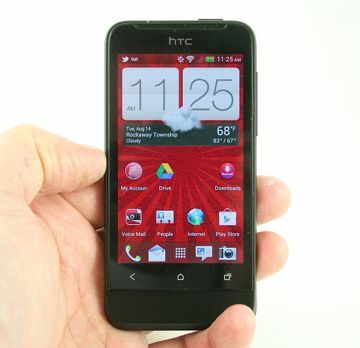 It combines some retro-HTC styling with Android 4.0 and Sense 4.0 in a small, attractive package. If you're not one to suffer smartphone envy and don't need or want a monstrously large device, the HTC One V packs plenty of punch. The least spec'd-out new Android smartphone from HTC still manages to impress. Here's why. HTC today announced the HTC One V, and Android 4.0 Ice Cream Sandwich phone that harkens back to HTC's design language of old. One of its most prominent design features in the chin that's below the display. Cricket Communications today announced that it will offer the HTC One V starting September 2 for $269.99. The One V, also sold by Virgin Mobile, has a 3.7-inch display, a 5-megapixel camera, Android 4.0, Beats Audio, and Cricket's Muve Music service. HTC today announced that the One V Android smartphone has been picked up by a significant number of regional cellular network operators in the U.S. The One V went on sale through Virgin Mobile USA last week, but can soon be expected to grace the store shelves of U.S.
--of purchasing the LG Optimus Elite...just before the One V got to market. I would have gladly paid the extra $50 for the V.
Or is it because it's a review model? Moto Razr ships the same way. Because the battery is embedded. There is a back cover, but it's probably too small for the ESN and everything else. The sticker makes it easy for a retail employee to activate the phone when selling one. but I've been considering this phone lately (through US Cellular actually) and currently have a Desire (which from my understanding is extremely close in hardware to the original nexus) which I'm looking to get rid of due to general performance issues and a poor battery life. From my understanding the S2 processor would definitely be a step up for both performance and battery life compare to the S1 in the Desire, but would you consider the difference between the phones to be enough to warrant an upgrade? The upgrade in the system software alone would be worth it. The S2 definitely outperforms the S1, though not dramatically. One V also has better display, better camera, and Android 4.0/Sense 4.0.